Photo Credit: Enviance.com Data sources: Statistics Brain and the EPA. 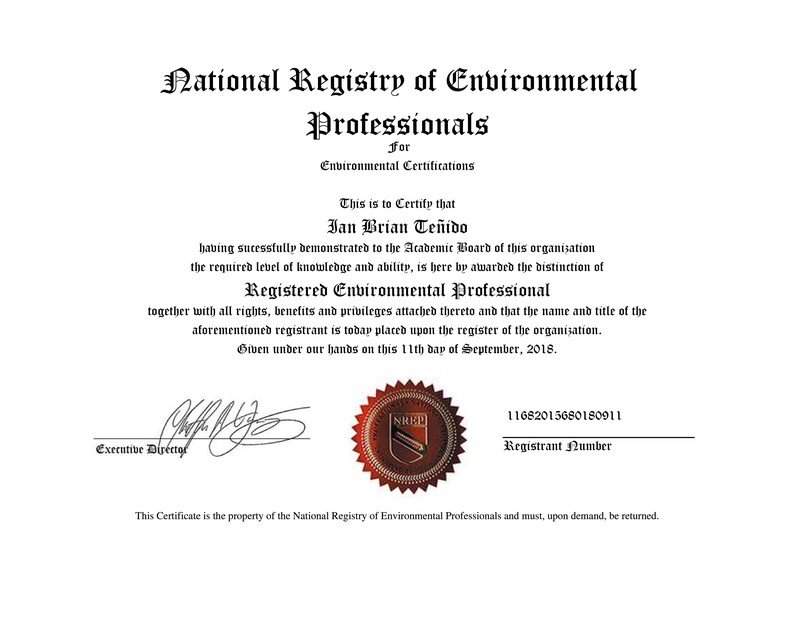 Ian Brian Teñido, REP is a Registered Environmental Professional® by the National Registry of Environmental Professionals®. Ian has a Masters Degree in Natural Resources from Virginia Tech and a rich and diverse background in environmental matters with a Bachelor’s Degree in Environmental Science from American Military University. He is currently pursuing a Doctor of Management Degree in Environmental and Social Sustainability at Colorado Tech. Ian is particularly passionate about the environment and spends most of his time blogging about current trends in environmental discourse and most frequently takes pride in environmental volunteer work and projects. He hopes and works hard for it, to contribute significantly to shaping the landscape of tomorrow’s environment.